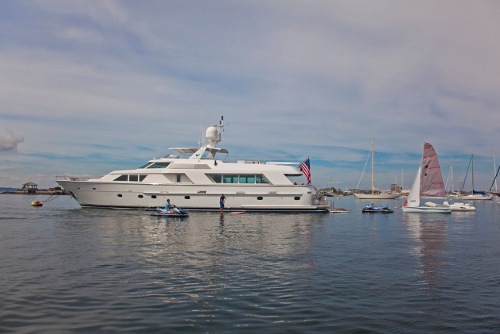 Yacht CAPRICORN was designed by Jack Hargrave and built by well renowned Hatteras in 1991, she underwent extensive refits in 2009 and 2011 and is available for charter in the New England in the summer and the Caribbean in the winter. 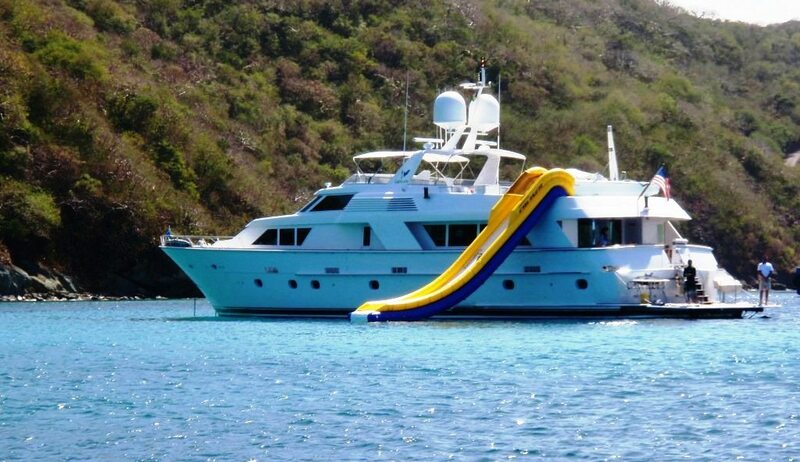 With accommodation for up to 8 guests in 4 cabins M/Y CAPRICORN is the idea yacht for families or groups. 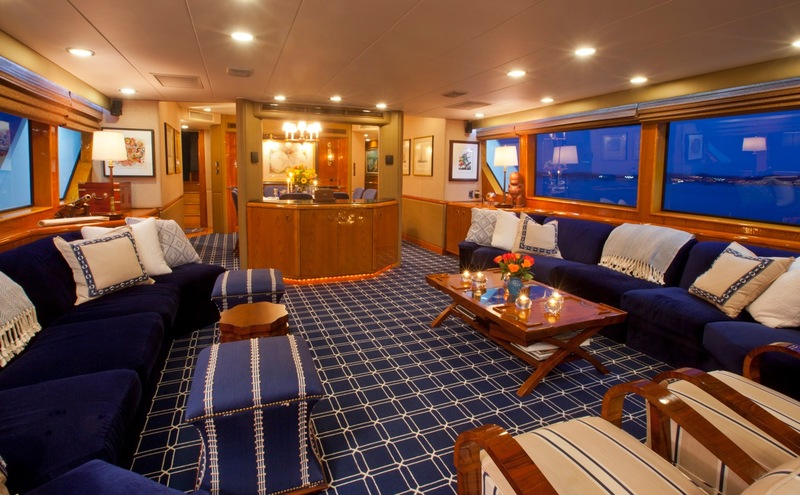 Charter yacht CAPRICORN has an elegant interior. The salon has a nautical meets country atmosphere, featuring deep blue and soft cream furnishings, antique side tables, a blue carpet with white accents is classy, while the high gloss oak panels create a warm feel. 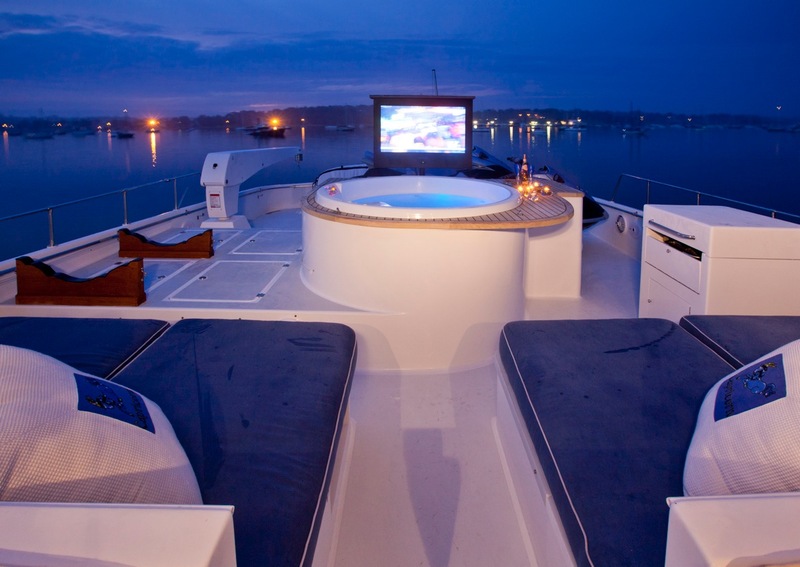 Large windows with low sills allow guests to enjoy the views from the comforts of the salon and the latest in entertainment including Wi-Fi, TV, DVD, Satellite HGTV and I-Pod dock. 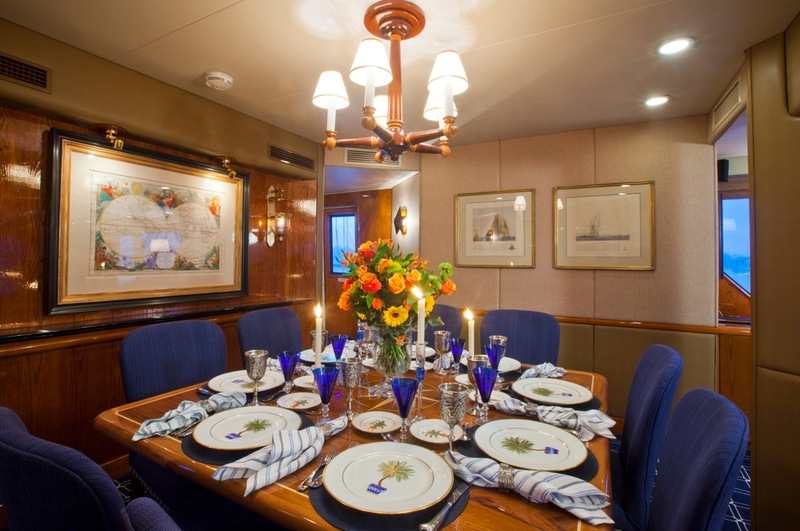 Forward of the salon separated by a partial wall the formal dining table with beautiful inlay seats 8 in style. 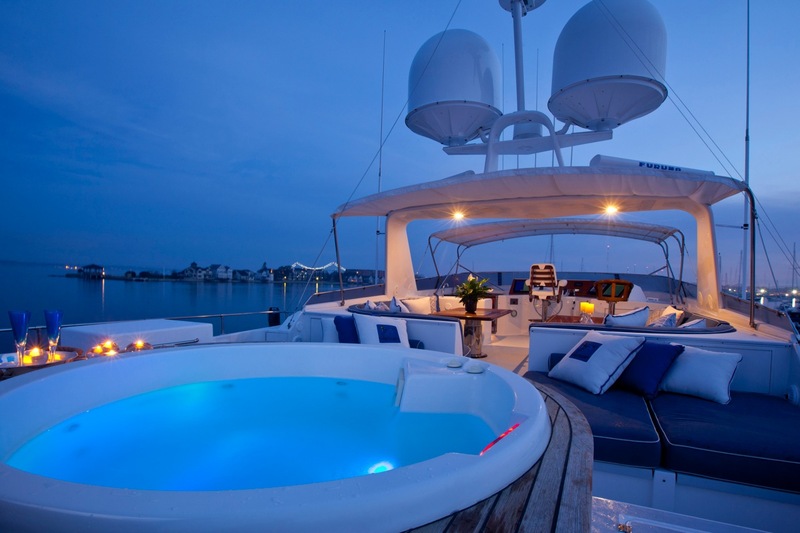 Motor yacht CAPRICORN offers full open air walk around decks with plenty of space to relax. 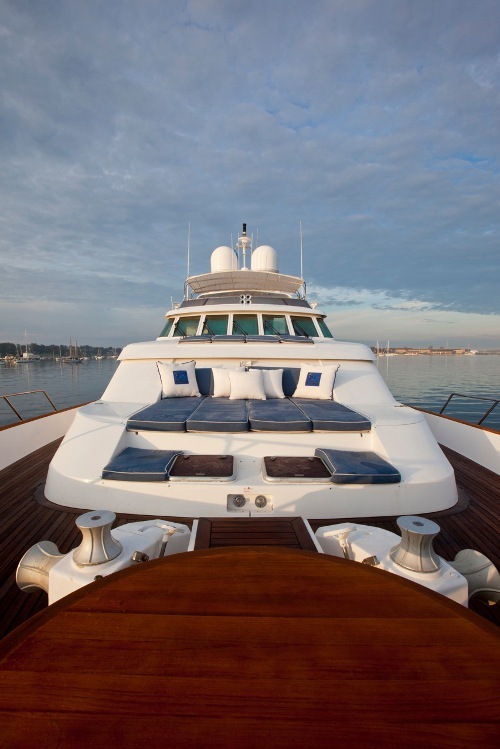 The aft deck is adjacent to the salon and has an optional shaded alfresco option, further aft a large swim platform makes water access easy for all to enjoy. 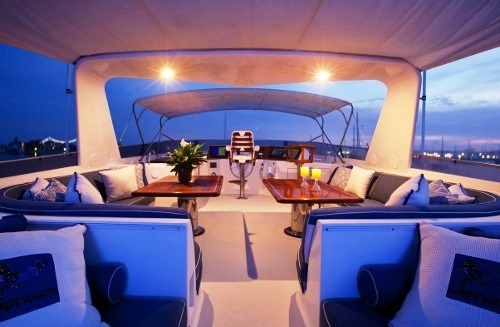 Side decks lead forward where guests may wish to dine alfresco under the stars, or soak up the tropical sun on the double sunpad. 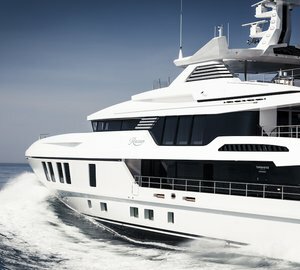 Above the main deck the flybridge offers an optimum entertaining space featuring 2 alfresco dining tables with custom built in seating, two double sunpads are port and starboard and a deluxe Spa Pool tub is amidships aft, a flat screen pop up TV will be the envy of surrounding yachtsmen. 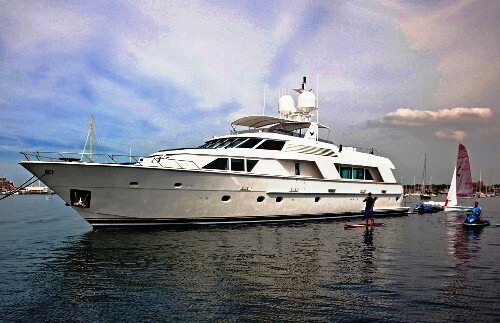 The CAPRICORN motor yacht accommodates 8 guests in 4 generous cabins. 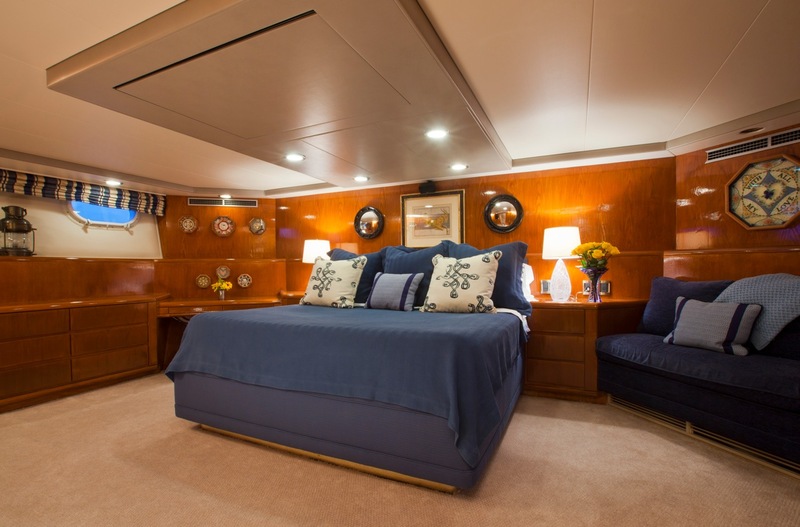 The master suite is on the lower deck taking advantage of the 7.49m (24ft) beam and boasts a king size bed, vanity, sofa, walk in cedar closet and en-suite facilities with his and her sinks. 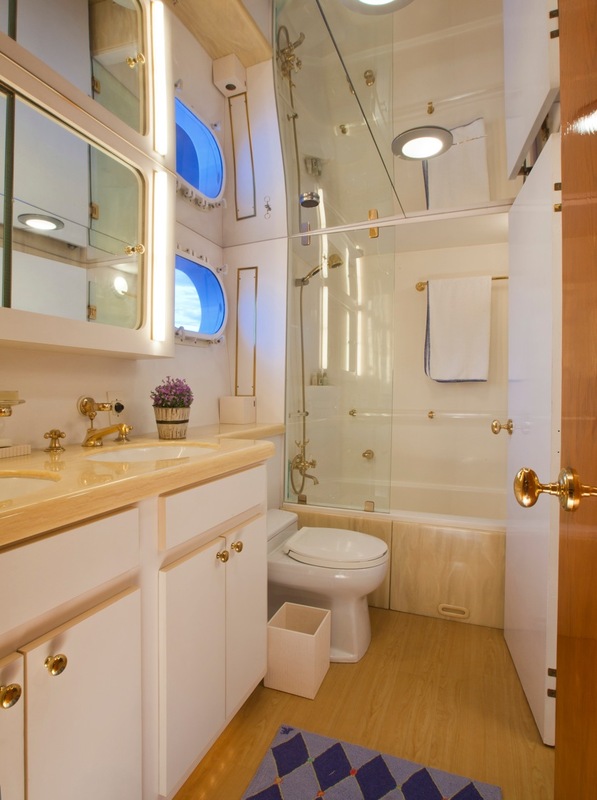 2 further guests cabins are on the lower deck with a queen size bed and 2 singles, both with en-suite facilities. 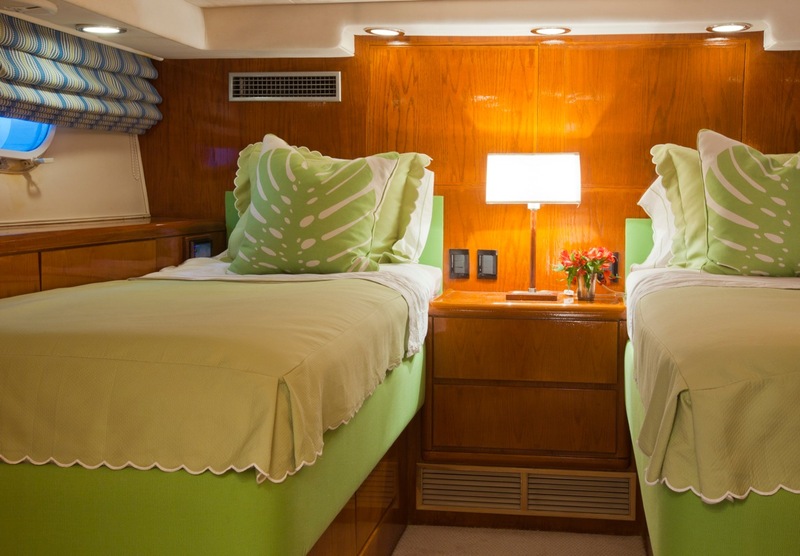 A VIP cabin is on the main deck forward with a queen size bed and en-suite facilities. 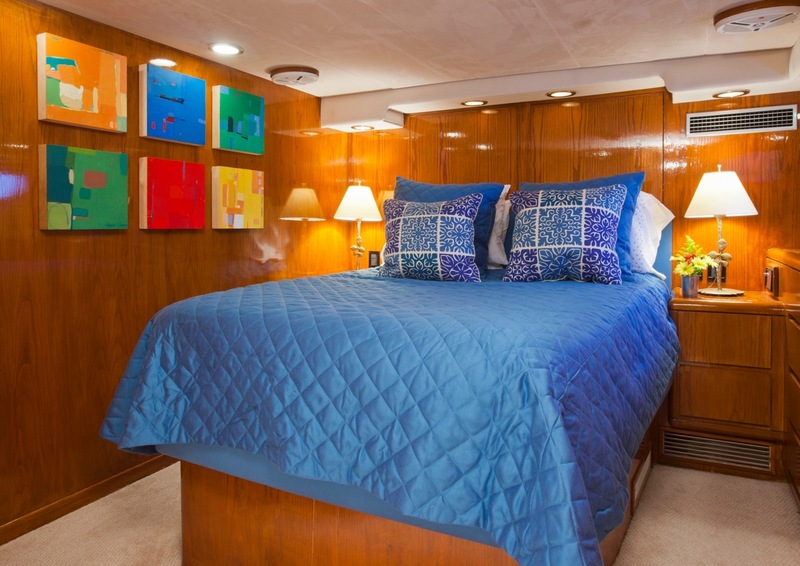 Each cabins features unique artwork and offers Sat TV, DVD, Wi-Fi and IPod hook docks. 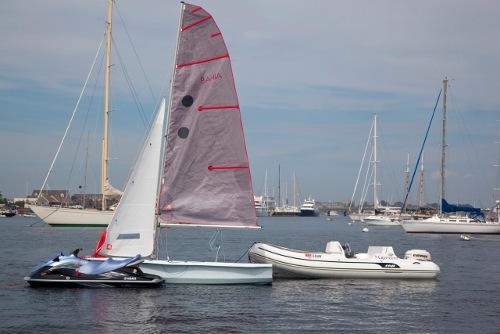 The Hatteras motor yacht CAPRICORN has these Tenders & Toys onboard: Two wave runners, slide from flybridge to water, paddle board, scuba compressor but rendezvous only, fishing gear, 15' sailing boat with assymetrical spinnaker, waterskis, wakeboard, new 17' tender with 110hp. 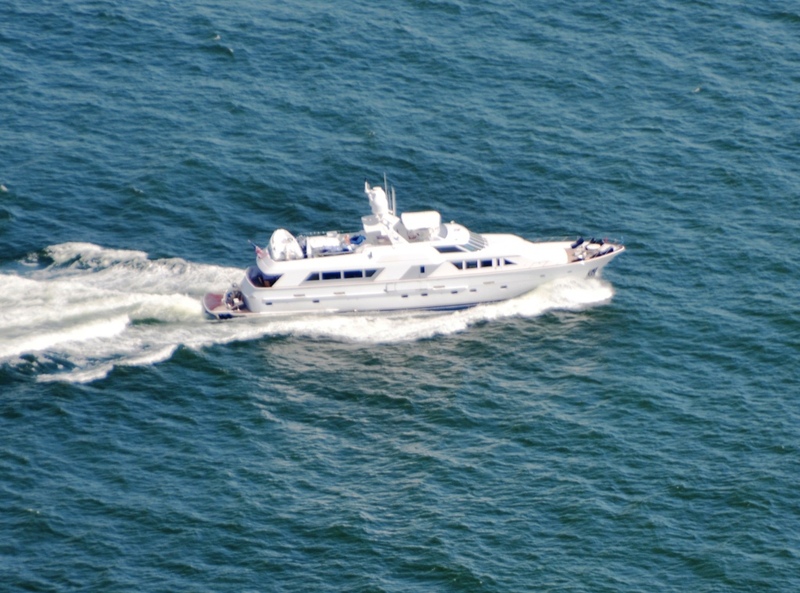 Communications VHF and Satellite, Audio Visual Equipment and Deck Facilities HDTV in all cabins with DVD and IPOD capability, Same available in Salon and flybridge.